From ‘way back when I was a preschooler, I have two vivid memories of special breakfast foods. Though we mostly ate cereal and milk, like most kids of our era, every so often my mom would make us something special. In the winter, it was fresh squeezed orange juice, crafted with a special attachment on Mom’s Mixmaster. 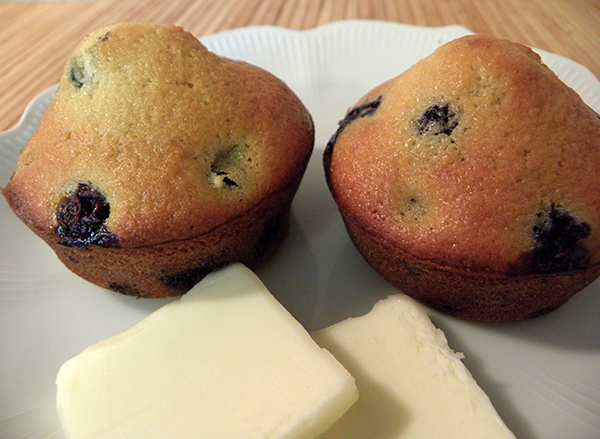 In summer, it was blueberry muffins: fresh, fruity, and unpretentious. This recipe tastes pretty close to what Mom used to make: not too sweet or buttery, loaded with beautiful berries. 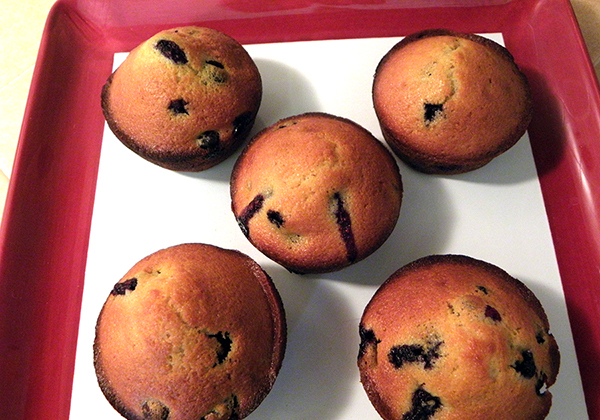 Muffins are easy to make and I have spontaneously made many kinds. 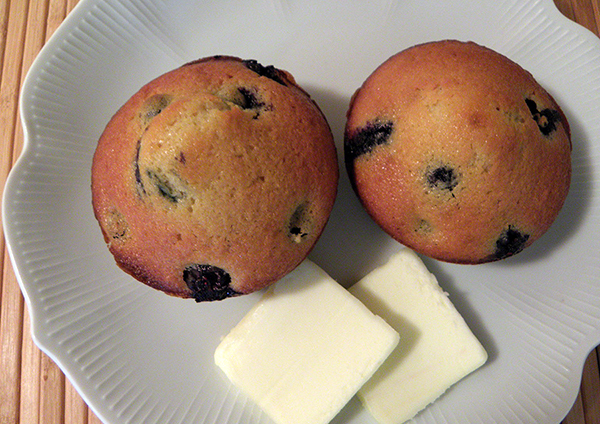 My old Joy of Cooking volume opens automatically to muffins. Recently I found The 250 Best Muffin Recipes at the library. It’s Joy’s muffin section on steroids, so I bought a copy and it’s never let me down. And I haven’t even gotten to the pineapple upside down muffins, fresh herb muffins, or strawberry cheesecake muffins yet. If you like making muffins (an easy way to impress the family, even picky in-laws), I highly recommend this cookbook. This recipe originally called for sour cream, but I had buttermilk that I wanted to use up. After substituting buttermilk for sour cream, I added extra flour. And since I had them on hand, I added extra blueberries too. No one ever complains about too many blueberries in blueberry muffins. 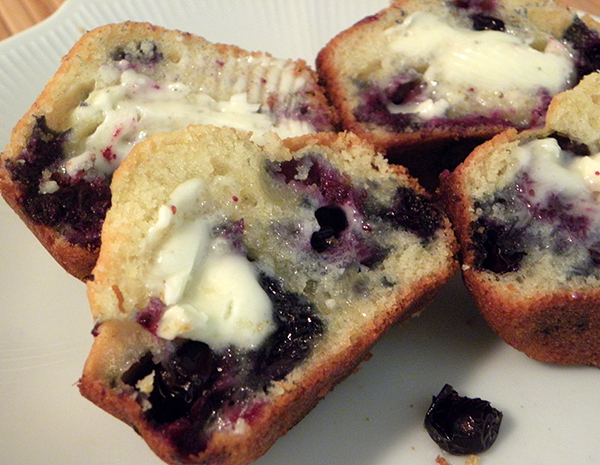 Blueberry muffins remind me of lazy summer days. I hope you get a few of those in the next couple of months. Enjoy these classic muffins with your morning coffee or tea. If you must go to work, leftovers make a delicious mid-morning pick-me-up. These muffins taste fresh (though sadly not crunchy on the outside) even after a couple of days if stored loosely covered and protected from summer heat. Butter a one-dozen muffin pan, or line pan with paper muffin cups. In a medium bowl, cream butter. Add sugar and continue to cream until light and fluffy. Add eggs one at a time, beating well after each. Set aside. 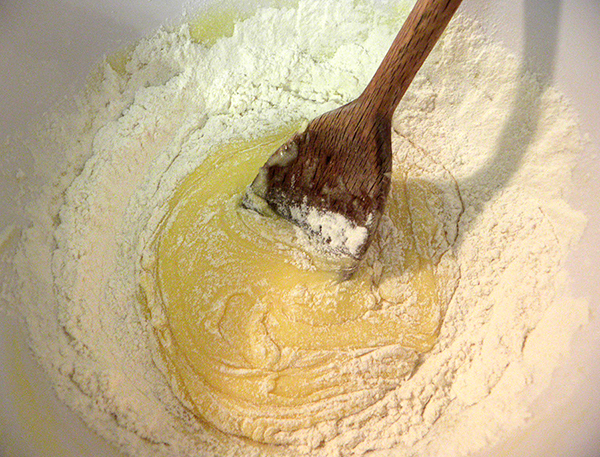 In a small bowl, sift or whisk together flour, baking soda, and salt. 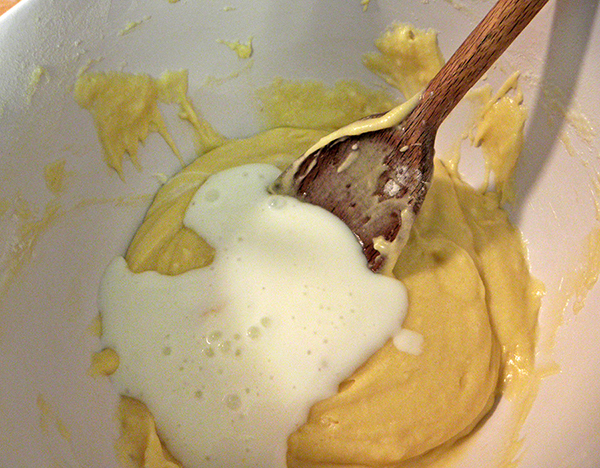 Add to creamed mixture alternately with buttermilk, mixing to combine completely between each addition. 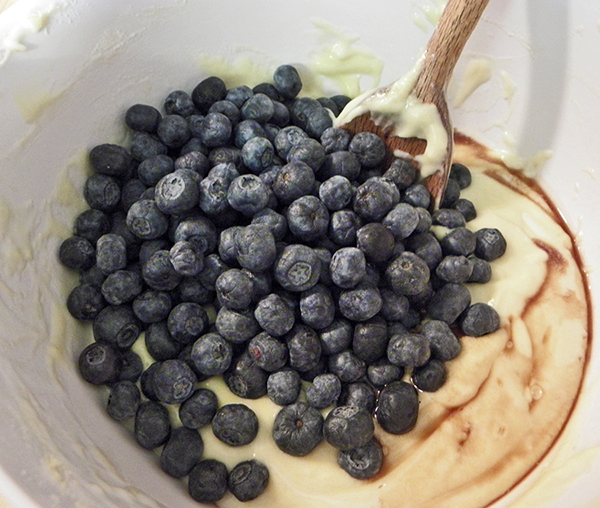 Stir in blueberries and vanilla. 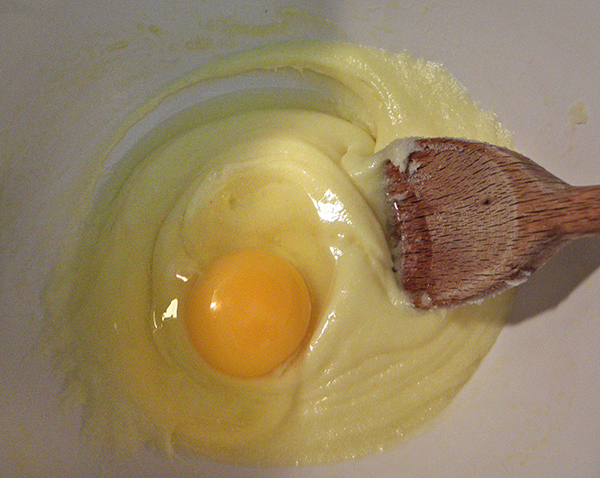 Spoon into prepared muffin pan, distributing batter as evenly as possible, and filling each cup about ¾ full. Bake at 425 degrees F. for about 15 minutes, or until golden.